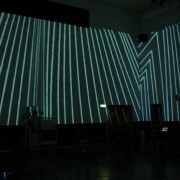 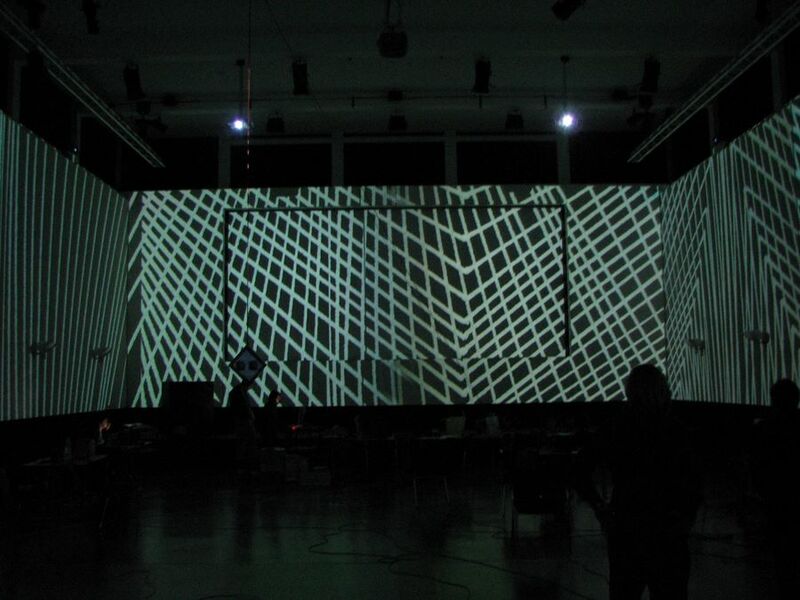 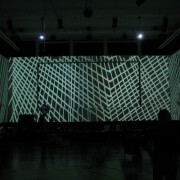 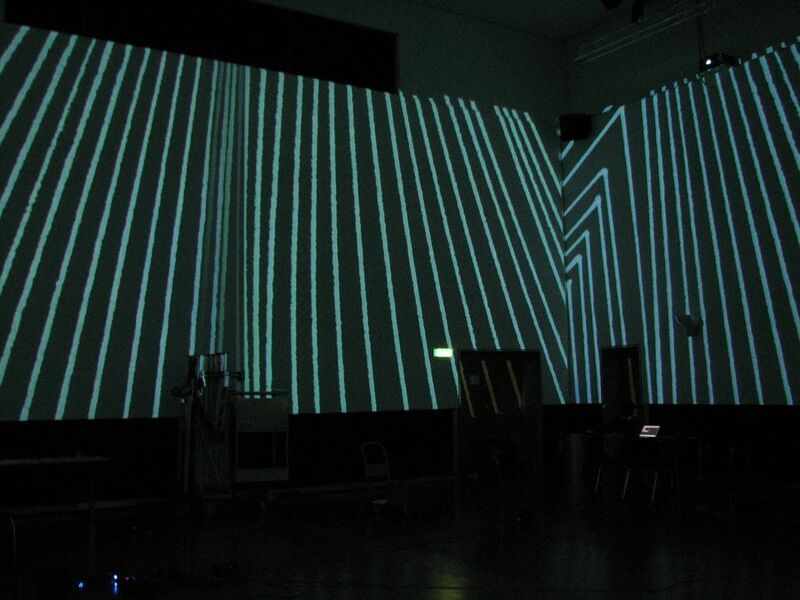 The beam of eight video projectors produce a 360° degree projection. 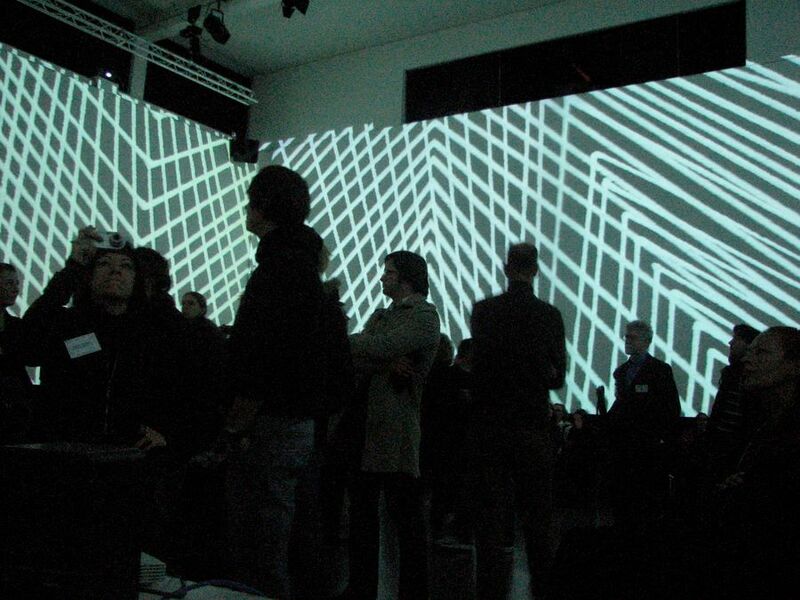 Two graphical patterns are floating against each other and creating an optical illusion. 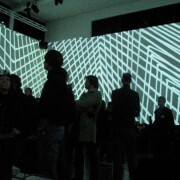 Sixteen speakers, eight on the ceiling and eight on the floor make sound become a three-dimensional tour through the room.